Need a form? This is the place to find it. If you need a form not listed here please use our contact form and request it. Community Residence & Treatment Apartments Referral Form - for Allegany, Cattaraugus, Chautauqua, & Erie Counties. Supported Housing Program Referral Form - in Chautauqua & Cattaraugus Counties. 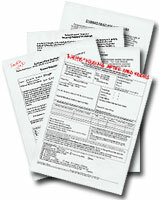 Supported Housing Program Referral Form - in Erie County. Single Room Occupancy Program Referral Form - in Allegany, Chautauqua and Erie Counties. Affordable Housing - All locations - Chautauqua & Cattaraugus Counties. Dunkirk Renovation & Home Ownership Housing - Locations - Available in Dunkirk, NY.